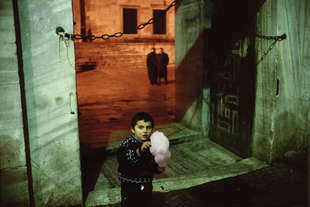 Borders have always intrigued Alex Webb as places where cultures converge under complex circumstances. In his new monograph, Webb displays his unique point of view on the city that lies between Asia and Europe, and he explores the many layers of Istanbul’s transitioning culture and multifaceted history. My experience of my daily life overlaps with my subject matter; and I'm trying to articulate in photographs how I experience the world.